Brrrr it is getting chilly outside! These blusterous evenings make me want to curly up in a snuggly dressing gown, light a few candles, and relax in the comfort of my own home. It’s getting darker earlier in the evenings, so I think its the perfect opportunity to take a look at some new home pieces that I’ve added to my living room. 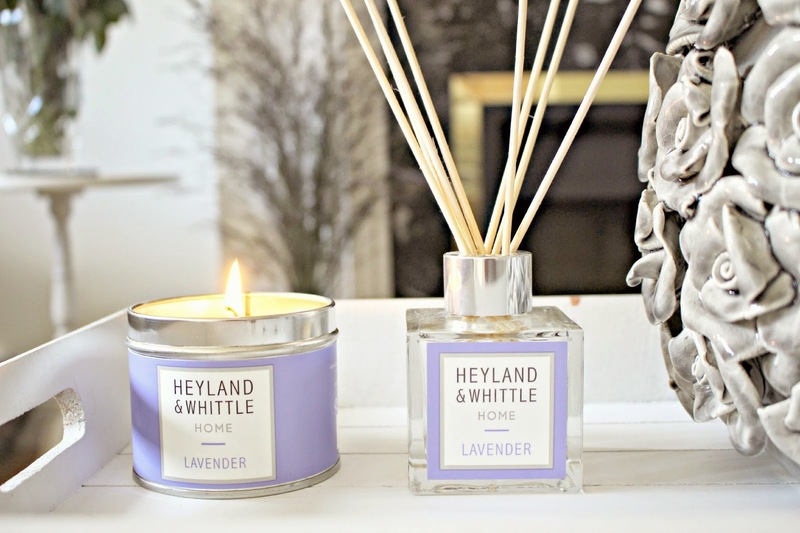 For filling the room with fragrance and light, I’ve chosen a couple of pieces from the Lavender selection at Heyland & Whittle. The British brand which makes diffusers, room mists, soaps and candles was created by husband and wife, Paddy Heyland and Ursula Whittle – inspired by their original location in Surrey, England. The quintessentially British range includes fragrances such as Neroli & Rose, Summer Berries, bouquet of Jasmine, and Lilac and Lavender. I always associate Lavender with peacefulness and calm – definitely something that I want to achieve in my living room! – and together the reed diffuser and candle fill the room with scent. All of the products are handmade and expertly cut, filled and decorated. The ‘Candle in a Tin’ range is a purse friendly way to add scent to your room (they are £12 from the Heyland & Whittle website here), and the Reed Diffusers give the room a constant fragrance for £22 here. 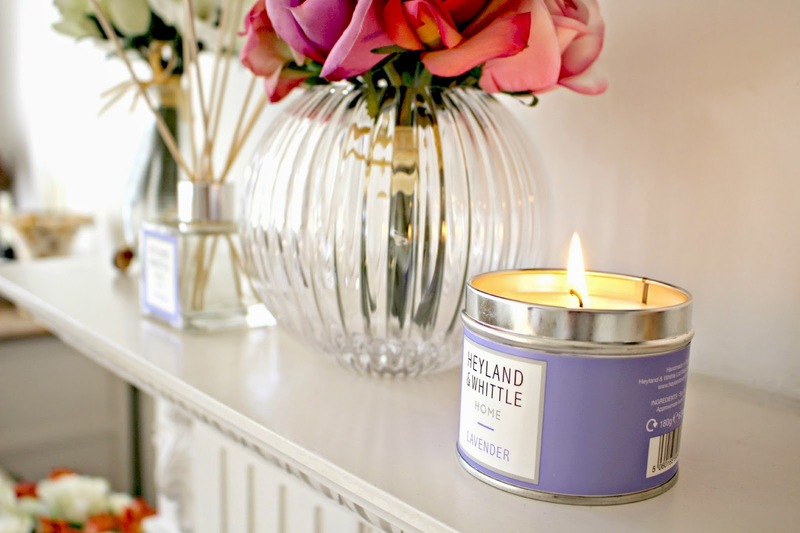 There are so many candle options available, and so far, Heyland & Whittle’s products offer the best value for money in terms of quality, cost, and power of the scent. Another recent addition to my living room is this stunning ceramic vase from Brissi. 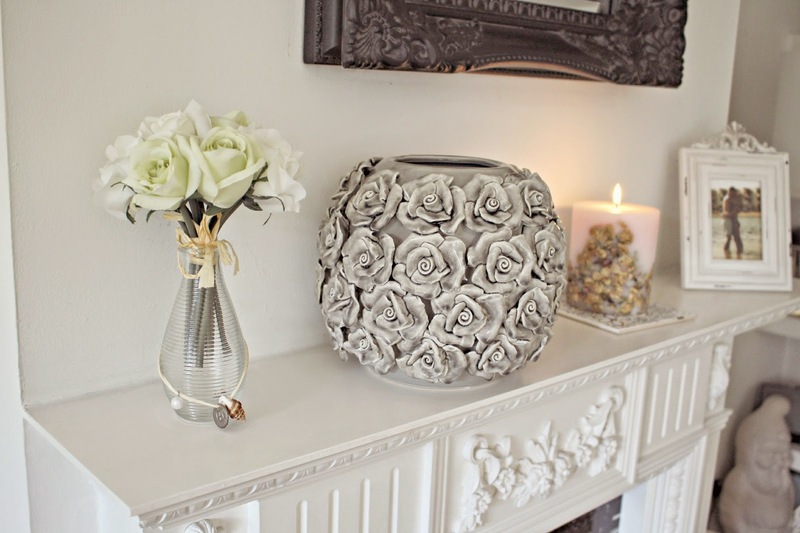 It’s handmade and covered in delicate individually crafted roses. I don’t even feel the need to fill it with flowers because it is so stunning on it’s own. I haven’t decided where it will live yet – at the moment it’s on the mantelpiece above the fireplace, and everyone comments on it when they come into the room. It’s also available in white but I chose this dove grey shade to make it pop out from its surroundings. The vases are currently on sale for £26.60 on the Brissi website here. What do you think of my new home-ware pieces? Have you added any new additions to your living room recently? Previous Post October GlossyBox – The Pop Art Edition!